The second edition of Mexicana Universal i.e. Mexicana Universal 2019 is all set to crown a new queen as the finale of the pageant is just a few weeks away, when all the gleaming Mexican delegates will represent their respective provinces and out of them, one contestant will be crowned by the reigning Mexicana Universal queen Andrea Toscano at the conclusion of the finale. Since all the delegates are officially confirmed, we introduce you to another angelic diva Carolina Martínez Orozco. 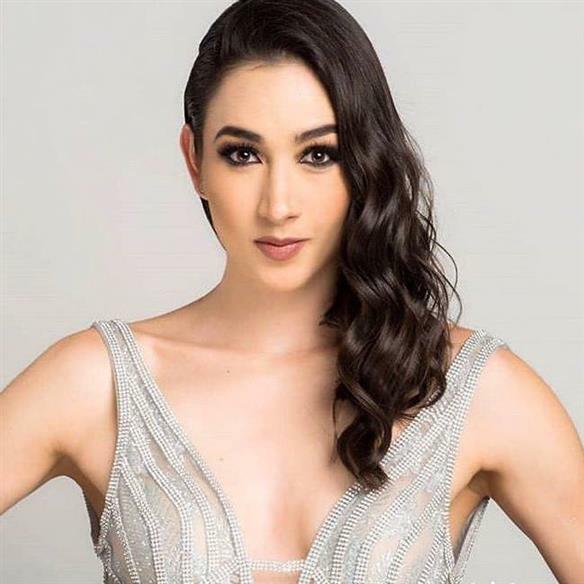 This splendid beauty competed in Mexicana Universal Querétaro 2018 pageant, where she earned the right to represent her province Querétaro in Mexicana Universal 2019 with her meritorious performance. The winner of this coveted title was Sofía Duque but Carolina along with her earned the rightful place to move ahead towards nationals. With her extravaganza performance, she astonished everyone and caught an abundance of attention with her vigour. The 25-year-old glistening beauty holds up a degree in Mass Communication and aims to become an inspirational soul of millions of women who have lost the strength to succeed in order to encourage them to dream big and chase them. Carolina genuinely believes in the bright future of Mexico as it is a free and democratic country and wishes to work for the upliftment of women in the society and also advocates that women are capable, determined and committed to the country and, like men, they can have the same opportunities to accept extensive opportunities. Carolina is one of those divas who are sturdy and intelligent with an amiable personality. Besides her strengths, she is blessed with a beautiful face which reflects a charm on her long face. Her big dark eyes showcase that she has a fusion of fierce attitude with merciful nature. Angelopedia wishes this beauty a very all the best for the success ahead and hopes that she takes care of her advocacies responsibly!